How do we design a wedding ceremony that expresses the depths of our commitment and the shared vision for our marriage? What are the building blocks of a lasting partnership that will bring out the best in everyone? 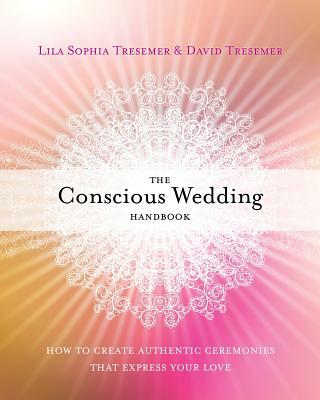 Lila and David address these questions and more, empowering readers with practical exercises for sustaining conscious partnership and covering everything from writing your own wedding vows, to choosing facilitators and guests, to the "Sacred Moment" at the core of a conscious wedding. Lila Sophia TresemerLila Sophia Tresemer is a group facilitator, ceremonialist, and transdenominational minister. With her husband David, she cofounded the StarHouse spiritual learning center in their hometown of Boulder, Colorado. David Tresemer, PhD, is a psychologist, associate professor, and the author of numerous books. For more, visit david-lila.com. David TresemerLila Sophia Tresemer is a group facilitator, ceremonialist, and transdenominational minister. With her husband David, she cofounded the StarHouse spiritual learning center in their hometown of Boulder, Colorado. David Tresemer, PhD, is a psychologist, associate professor, and the author of numerous books. For more, visit david-lila.com.